Please Forgive us for being down. 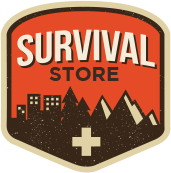 we are rebuilding our site with anew selection of updated survival Gear and packages. Be in the know! Leave us your Email, and we will contact you as soon as the store is open and send you a free gift with your first purchase. Sorry for being down, we are rebuilding our store with fresh merchandise and gear. New Kits on there way! Please visit again soon.